Four simple ingredients (and one is water!!!)! This is a double batch and will make 60 1/2-inch biscuits with a small cookie cutter. I freeze half of the biscuits in a freezer baggie. You can half the recipe if you desire. NOTE: If you make them 1/4-inch thick, you only need to bake them for 20 minutes. NOTE: You can also use 1/3 cup peanut butter and 1/3 cup organic canned pumpkin if you want to keep the calories down. 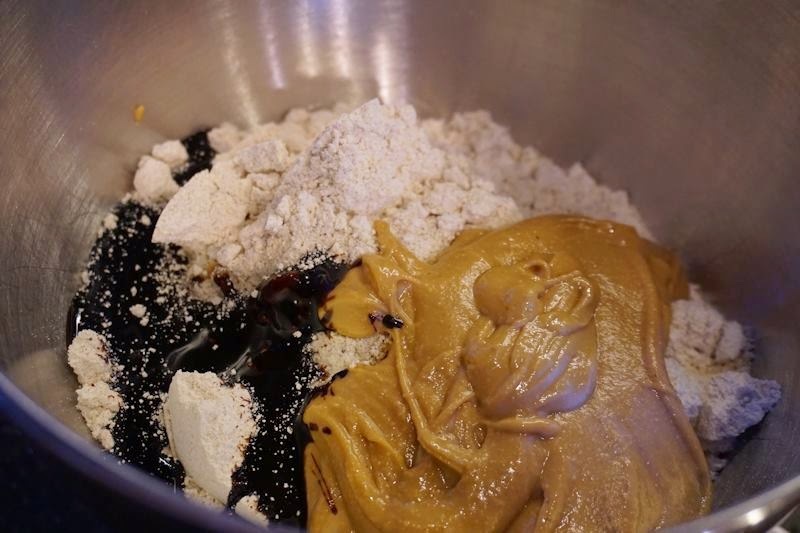 Put the 90% of the water, peanut butter (pumpkin, if using), and molasses in standing mixer or food processor, and mix well. Add oat flour and mix to combine, adding small amounts of water (if needed) to create a smooth and moist (not too sticky) ball. 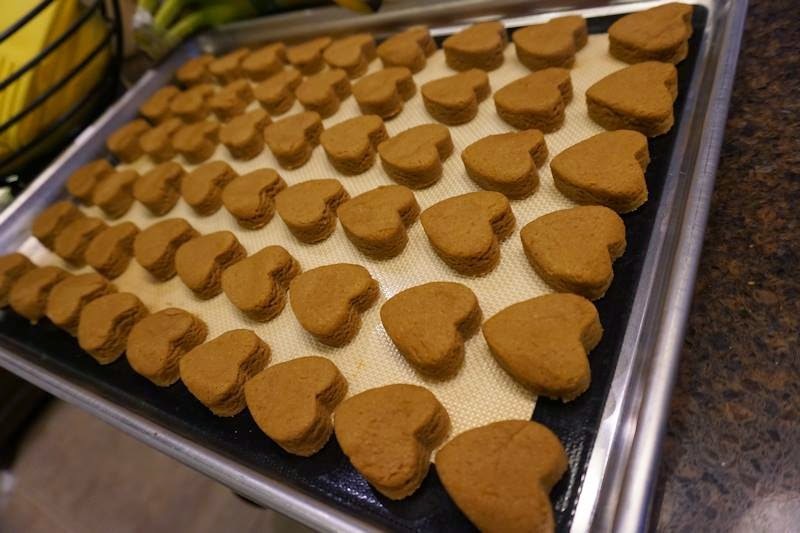 Preheat oven to 325 degrees (350 if you want to get things moving more quickly, then reduce to 325 when you put the treats into the oven). Line a cookie sheet with parchment paper or non-stick baking mat and set aside. Split dough ball in half and press with fingers or roll out one half on a wooden board to 1/2-inch thick. 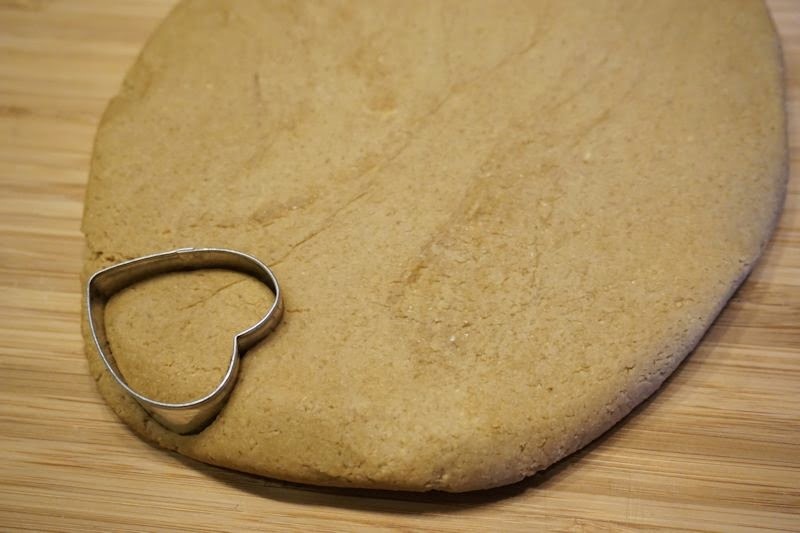 Use a cookie cutter to cut out small biscuits. Place cutouts on parchment paper. When tray is full, bake for approximately 40-50 minutes, or until completely hard when you press down on them. Then, turn oven off and leave them in the oven to harden fully for a few hours or overnight. NOTE: These are BEST made in a standing mixer or food processor. I use my rectangular baking stone (12"x18") and roll dough right out on the stone (I don't find a need to use parchment paper with my stone) - 1/4" thickness covers my baking stone - and then I use a pizza wheel and cut 1/2" strips both ways to make 1/2"x1/2" square treats since my older (and one almost toothless) and smaller dogs can eat these treats. Thanks Mrs. Plant for this recipe! My dogs love your dog food and treats and the pumpkin with sweet potatoes.